The Filipino community in Brasilia has finally met newly-arrived PH Ambas-sador to Brazil, H.E. Marichu Mauro last Sunday, 15 April 2018 during a meet and greet lunch hosted by the Philippine Embassy. Hon. Marichu B. Mauro, new Philippine Ambassador to Brazil, was interviewed by UNTV during her meeting with the Filipino community in Brasilia. Philippine Ambassador to Brazil Marichu B. Mauro presented copies of her draft Letter of Credence and the draft Letter of Recall of her predecessor Ambassador Jose D.R. Burgos, to Secretary General Marcos Bezerra Abbott Galvão of the Ministry of External Relations on 11 April. Ambassador Marichu Mauro starts her official duties as Philippine Ambassador to Brazil upon her arrival on 06 April. 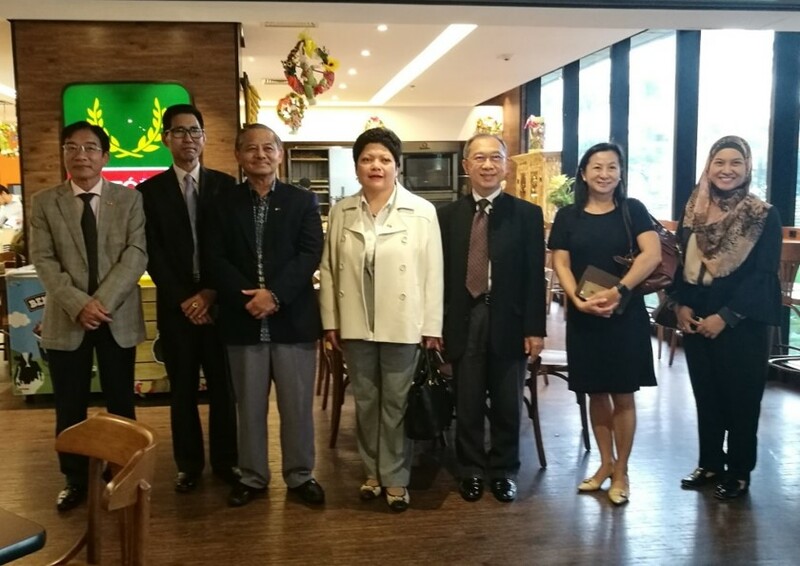 She was met upon arrival by Protocol Officer Cesar Barrio, from the Ministry of Foreign Affairs of Brazil and the Ambassadors of ASEAN countries in Brazil. The Philippine Embassy in Brasília held a Consular Outreach Mission at the Centro De Eventos Governador Luiz Henrique Da Silveira in Florianópolis, Santa Catarina, Brazil on 7-9 April 2018. Mr. Jose Antonio M. Bea, Consular Assistant, conducted the outreach. The Philippine Embassy in Brasilia conducted two livelihood training programs on 25 March 2018 at the chancery for the benefit of the Filipino Community, namely a Jewelry Making Workshop and a Cake Decorating Workshop. The Philippine Embassy in Brasilia celebrated the World Interfaith Harmony Week on 2 February 2018. The solemn event consisted of a collective recitation of an interfaith prayer for peace by representatives from various religious organizations. The Embassy, in cooperation with Investur, a Brazilian tour operator based in Sao Paulo commissioned last year by the Department of Tourism to handle Philippine tourism packages in Brazil, conducted a Philippine Tourism Presentation in Brasilia on 31 January 2018.